Don't wait for your weekly yoga class to get back into your yoga routine. Bring it home to you! I love my home yoga practice. Honestly, if I didn’t have a consistent home practice, I’m not sure I’d have much of a practice at all. Some months, getting to the studio regularly doesn’t work with my schedule or my budget, so I need a steady home practice. Getting started was difficult, but it was worth the organization and scheduling it took to make it happen. I love my home practice so much that I want to help every yogi have their own! Yoga at home is possible, so let me help you get started! The hardest part is getting on your mat, and I know once I get my thoughts organized, I’m much more likely to get started and be productive. There has been a bit of controversy about the best time of day to practice yoga. Some practitioners say morning is the best time because the mind is uncluttered from the day’s thoughts and activities and the stomach is completely empty. Others say exposure to the early morning light corresponds to a lower BMI (body mass index) and better overall health. You don’t have the added pressure of the day’s stress and complications. Your stomach is empty, making it easier to twist, fold, and stretch. 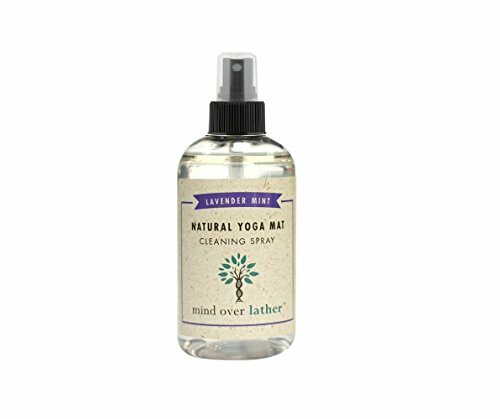 Sets your body up for being open, strong, and flexible as you go throughout your day. Your body isn’t as stiff and creaky as it is in the morning. Ending your practice with some restorative poses will set you up for a good night’s sleep. Everyone is generally quiet or in bed once you’re able to start an evening practice. The type of practice you’re doing will also dictate the time of day you practice. You don’t want to end your day with an invigorating backbend practice, but you might not want to do an extremely challenging 90-minute flow when you first wake up and your body is stiff. Tailor your practice to the time of day you’ve decided to practice. Your morning practice will feel better if it includes lots of shoulder, chest, and hip openers, while your evening practice should end with supine twists and a long savasana to slow you down for bedtime. Don’t ever feel bad if you don’t have a consistent schedule. Yoga doesn’t just make your body flexible; it teaches you to be flexible about life, too. There are definitely days where it works better for me to practice first thing in the morning before my kids wake up, and then there are many days where it’s much easier to do yoga after they go to bed. Having your own space for anything in life is important. Whether it’s simply your bedroom or your own bathroom, your space is what makes you feel the most comfortable and at home. You’re far more likely to stick to a home yoga practice if you have your own space that you love and crave being in. Where you’re most comfortable practicing at home is another thing you’ll have to decide on your own. The first priority is making sure your spot is comfortable. Try not to practice where you’ll end up distracted, like the dining room where you’ll focus on the crumbs under your toddler’s high chair or the dust bunnies under the dinette. Create a space with plenty of room to avoid hitting or falling into furniture. I was swinging my leg into three-legged down dog and smacked my heel right into my coffee table a few days ago. I’ve also gone face first into furniture in arm balances, so practice with caution! If you have to practice surrounded by furniture, position yourself so when you take a spill, you aren’t hitting your face on anything. Accept you’re going to fall over at some point and keep your body safe. Depending on how advanced your practice is, you might want a wall space nearby to practice inversions. My practice spot is fairly consistent, but if I have to move to another room, I try to be near an empty wall space so I can work on my inversions. Don’t feel like you have to have an entire room at your disposal. Even a small corner is enough space for you to have your own little yoga sanctuary. I’ve been on both ends of the spectrum: I’ve had an entire room as my practice space and then I’ve had to wedge myself into a tiny area in our camper. Regardless of how much room you have, start by decluttering it. It’s hard to focus on yoga when you’re looking at stacks of books, piles of toys, or that slowly growing mountain of mail. Get rid of anything that doesn’t serve a purpose to your yoga practice. If you want to add pieces for decoration, try to add things that are peaceful, like candles, small statues, or plants/fresh flowers. These items don’t have to be yoga related, so don’t stress out about finding the perfect Ganesh framed print. Include things that mean something to you. These can be family heirlooms, pictures from your last family vacation, or a childhood stuffed animal you’ve held onto for years. Make the space your own, but decorate with intention. Most yoga studios have mirrors in the room so you can see your alignment and make adjustments. I think these are great to have, but personally, I become more concerned with how my practice looks instead of how it feels. Not every yogi has a picture-perfect practice, and obsessing over how your asana looks really detracts from the core of yoga. There are countless studies detailing the physical and emotional benefits of a consistent yoga practice. Consistency doesn’t have a set time limit. You still reap the benefits even if you’re just doing 10 minutes of sun salutations every morning. You don’t have to devote an hour or more to your practice to improve your muscle tone, cardio health/circulatory system, respiration, and metabolism. Mentally, a consistent practice reduces stress and allows you to develop healthy coping skills and provide a positive outlook on life. The most important part about consistency is not setting yourself up for failure by creating unattainable goals. It’s unlikely you’re going to get 90-minutes in six days a week unless you’re a dedicated Ashtanga practitioner. Making your practice a non-negotiable part of your day helps ensure you get your practice in because you’ve made an appointment with yourself that you aren’t allowed to cancel. The beauty of a home practice is you can practice whatever style of yoga you want (except hot yoga; your wallet probably won’t appreciate heating your home to 104 degrees) because of online yoga classes. Having specific goals for what your practice is going to offer you narrows your choices down quite a bit. Don’t feel tied to one style of yoga or feel like you have to juggle multiple styles for the most benefits. The beauty of yoga is even if you stick to one style, a well-rounded practice means you can dedicate yourself to Iyengar, Bikram, or vinyasa flow and your entire body still benefits. Choose your favorite type of yoga and stick to it. Do you like more than one kind of yoga? Do them all! One of the most important aspects of yoga is ensuring you enjoy it! Vinyasa flow/Ashtanga: Fast paced and challenging. It’s suited to you if you like to be challenged. Hatha: Great if you like a slow burn in your workouts and don’t care to get a ton of cardio in during your practice. If you’ve been to a teacher-led yoga class, you’ve had an intention set for that class. Whether the teacher gives you the intention or tells you to set your own, an intention gives your yoga a deeper meaning. No matter how small your daily intention is, it helps you stay committed to your practice and to yourself. BONUS TIP: I often use words like “strength”, “open”, or “fun”. These are words I can easily access no matter how I’m feeling. One words sounds really simple, but one word has the ability to completely change and focus your practice. All of these situations could always use the love and strength that flows from your yoga practice. Are your hips burning in every warrior pose? Great! That just means your muscles are working and you’re getting stronger. Did you get both feet off of the ground in a handstand pike for the first time? That means you’re getting closer to a handstand! When you learn to look at the little things in your practice and see them as good things, that will start to spill over into the rest of your life. A 2008 study in Finland found that out of 300 yoga studios surveyed, there was an average of 1.18 injuries per 1000 hours of yoga class. While these odds are relatively low, keep in mind these occur under the watchful eye of teachers who ensure your practice is safe. As hard as it is, drop your ego and try to accept your body where it’s at. Even if you aren’t pulling out the fancy poses yet, your body and practice are perfect exactly where they are. *Remember: practice and all is coming! A steady practice will help you accomplish every goal you set for yourself. BONUS TIP: I think the best way to set yourself up for a safe home practice is to work with a teacher occasionally. Understanding the fundamentals of alignment is the biggest factor in injury prevention. When I first started yoga, there was no way I knew enough about sequencing or poses to ever create my own practice. I tried using printouts of poses, but I was a huge mess and would quit in frustration within minutes. Thankfully, YouTube has made almost anything accessible at home, including beginner yoga videos​. Check out our full post on the 11 best beginner videos on youtube. If you’re a bit beyond beginner videos, consider an online subscription service. For a set price, you have 24/7 streaming access to thousands of classes curated by some of the world’s best yoga teachers. 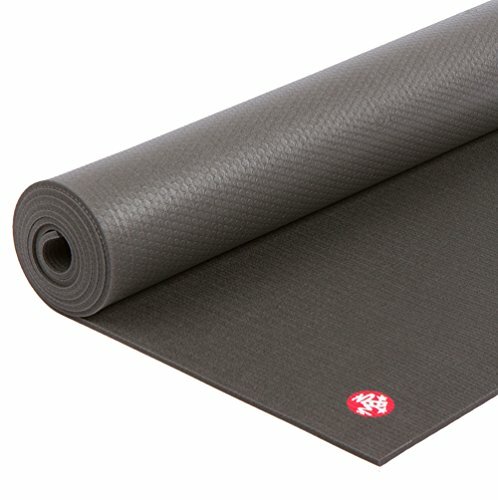 A “sticky” yoga mat is a must! Not only does a mat provide the necessary cushioning for your knees and wrists, but it also gives you the traction you need to safely access a variety of poses. Investing in a good mat makes a lot of sense, even for beginners. It will literally be the foundation ​of your yoga practice. Yoga blocks have so many purposes in your practice! Don’t mistake them for tools that are for beginners only. You can be an extremely advanced yogi and still find a use for blocks. Blocks are made from foam, cork, or wood. This isn’t something I consider a necessity unless you’re a really heavy sweater or you somehow practice hot yoga at home. A strap gives your arms extra length in a variety of poses. You can use it if you can’t reach your feet in poses like seated forward folds and standing hand-to-big-toe pose. It can also be used when you’re learning chaturanga and forearm stands when it’s important to keep your elbows in. What you wear to your practice depends entirely on you. Don’t feel like you need to open up a credit card to buy a bunch of Lululemon clothes. All you really need are soft, stretchy clothes that give you a good range of motion. I personally practice in compression shorts and a sports bra when I’m at home, but wear what you’re comfortable in! I cherish my home practice. There’s nothing more satisfying than taking an hour out of my day, putting aside all of my domestic distractions, and just doing what my body needs. It wasn’t easy starting and sticking to doing yoga at home, but once I made it a priority, it was worth the struggle of instituting it. It’s become a natural part of my day, and even if it’s 10:59 PM and I’m exhausted, I try to get on my mat for just a few minutes to make my day complete. I hope this breakdown makes starting your own home practice more accessible and less intimidating. You can do this! If you have friends who are struggling with how to start yoga at home, give them a leg up by sharing this post.